Dual-energy X-ray absorptiometry (DEXA) studies are used for screening patients for low bone mineral density (BMD). Patients with breast and prostate cancer are often treated with hormone-altering drugs that result in low BMD. These patients may have incidental osteoblastic metastases of the spine that may be detected on screening DEXA studies. 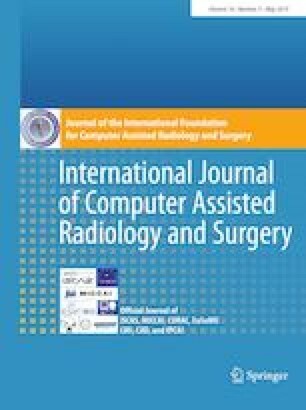 The aim of this pilot study is to assess whether random forest classifiers or support vector machines can identify patients with incidental osteoblastic metastases of the spine from screening DEXA studies and to evaluate which technique is better. We retrospectively reviewed the DEXA studies from 200 patients (155 normal control patients and 45 patients with osteoblastic metastases of one or more lumbar vertebral bodies from L1 to L4). The dataset was split into training (80%) and validation (20%) datasets. The optimal random forest (RF) and support vector machine (SVM) classifiers were obtained. Receiver-operator-characteristic curves were compared with DeLong’s test. The sensitivity, specificity, accuracy and area under the curve (AUC) of the optimal RF classifier were 77.8%, 100.0%, 98.0% and 0.889, respectively, in the validation dataset. The sensitivity, specificity, accuracy and AUC of the optimal SVM classifier were 33.3%, 96.8%, 82.5% and 0.651 in the validation dataset. The RF classifier was significantly better than the SVM classifier (P = 0.008). Only 7 of the 45 patients with osteoblastic metastases (15.6%) were prospectively identified by the radiologist interpreting the study. RF classifiers can be used as a useful adjunct to identify incidental lumbar spine osteoblastic metastases in screening DEXA studies. Samir Mehta and Ronnie Sebro have contributed equally to this work. RS was funded by a Radiology Society of North America Research Grant. All human studies have been approved and performed in accordance with ethical standards. The study was reviewed and approved by the senior author’s Institutional Review Board, and the need for signed informed consent from each participant was waived.